Well, we talked it over, but we figured we’d stick to our lack of guns. In Firewatch, you play as a man named Henry, who’s retreated from his messy life for the summer to take a job as a Wyoming forest fire lookout. You are in constant radio communication with your supervisor Delilah — your only remaining link to the outside world. But as the hot, dry summer progresses, increasingly strange events draw you out of your tower and into the wilderness to explore an unknown environment, facing questions and making interpersonal choices that can build or destroy the only meaningful relationship you have. Anyway, it just doesn’t really work with guns. 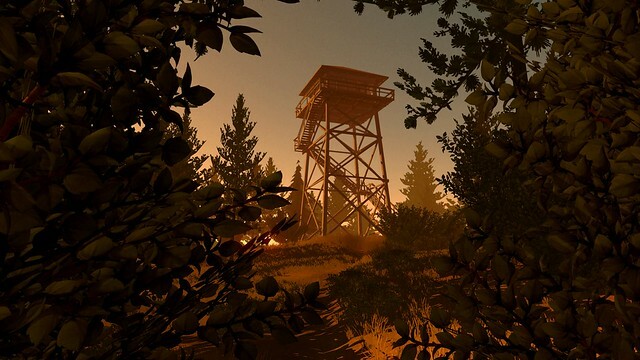 @camposanto if you could bring please bring Firewatch to the ps4, that would be exquisite. Henry's story seems really cool. #Takemywallet!!! I mean, we could use a new wallet or two. @camposanto PLEASE PLEASE PUT THIS ON #PS4 OR #VITA. I will pay mega money for this. Especially if those wallets are filled with mega money. Everyone loves mega money. We are extremely pleased to announce that Firewatch is currently in development as a console exclusive for PS4, and we’re planning on a 2015 launch. 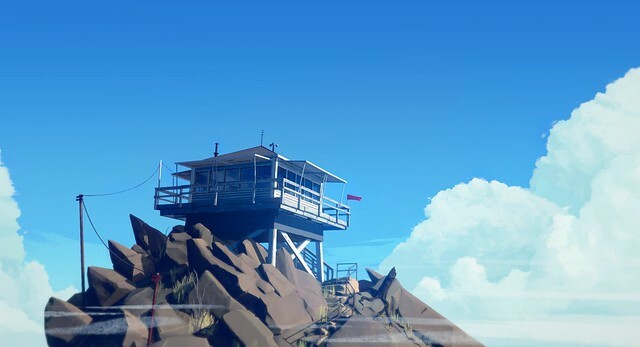 If you aren’t already familiar with Firewatch, we hope you’ll check it out. And if you have been keeping up with the game and politely requesting a PS4 launch — well, it worked. It’s no exaggeration to say that the flood of PS4 fan support across Twitter, Facebook, email, telegraph, and carrier pigeon was the single biggest factor that led to our decision to support the platform. As a small independent team, we don’t have a lot of resources to spare, so we have to be sure we’re putting our game where people really want to play it. We’re pretty sure we made the right decision on this one, and we’re happy to be aboard. Let us know what you think or ask us any questions below. We’ll be around to answer them! just one more title I’m curious about, what about “the forest?” it was a PlayStation experience last year and curious if it’s even coming out any time soon? I really love the game style, it looks so good. And a game without gun is fine, we have so many gun in almost every game this day. Firewatch is a game I’ve been interested in for a while but, because I don’t have a great PC, I was holding out hope for something like this. Turns out that hope wasn’t entirely unwarranted and seeing this today was a pleasant surprise. Good luck on the rest of the development cycle, this game seems like it has a lot going for it. PS: Idle Thumbs is one of the highlights of my week and it’s always nice to get more information on just what it is you’ve been working on outside of that. Keep up the good work, on all fronts. They’re still making great stuff! This game looks awesome. Can’t wait for more details on it. Also, I’m tired of guns and shooting people in the face so something like this is right up my alley. Forgot to ask, is there a fail-state, meaning, can the main character die? And is there anything procedural in the game or is every event scripted? We’re trying to make a game in which players make their own different choices, as opposed to “right” or “wrong” choices. There is no fail state in that sense—although you could end up regretting or questioning a choice you have made. There are systemic elements to the world itself—we want it to feel responsive and interactive and alive. And the dialogue paths are highly complex; any given player is likely to see a minority of the total content. But it is all authored by us, not randomly generated or procedural. Super thrilled this is coming to PS4. When I saw the trailer I hoped it would, it looks awesome. And the new trailer was great too. This is one of those games that looks really cool…….. except that it is first person. This isn’t supposed to be ME in the tower, so why does it have to be first person? In a story like this I want to feel like I understand Harry and if I never get to see him, to learn who he is and how he reacts to things – how can I possibly feel a connection to him? First person just ruins my connection to games like this, and it is really unfortunate because it looks like it has a lot of potential. It is tough to answer your question about how you will feel a connection to Henry without spoiling game content, but in a general sense one of our biggest goals on this game is to give you both the information to learn about Henry and his life and motivations, as well as the expressiveness through dialogue and choices to express your version of Henry in the game. I hope it ends up working for you, despite your skepticism! Crap, I just bought this on PC! Impressive! We haven’t even offered it for sale yet! Thank you! That’s the big goal and the main challenge. My wife, 10 year old son, and I all watched the Sony press conference last night. As I recall, it was the only game all 3 of us gave an ‘I want to play that one now’. If the game is not M, all 3 of us will play it. Either way, I want it, so it will be a day 1 buy for me. I LOVED the atmosphere that was presented in the showing last night, and look forward to the mystery. Cheers! As parents you may want to screen it first because there might be language you consider inappropriate—it’ll depend on your own limits. But it is very gratifying to know you are all excited about it! I’m so glad to see Firewatch come to the PS4! I hope the enable to DS4 speaker. I think using the Dual Shock for as a radio will make the experience all the more immersive. Well done! Thank you for bringing fun games to the PS4. Also I fully support gunless games. I stopped buying and supporting gun based games. It really limits what I can play, so thank you. Looks interesting. Had resigned myself to it being a PC exclusive so really happy to see it coming to PS4. I will be buying this game. OH man this is a awesome surprise, the first time i saw this game i knew i had to have it. Thanks Sony and Campo Santo! such a great extension of storytelling ideas from BioShock, etc. I’m so psyched for this, it’s ridiculous. any use of surround sound? DS4-specific controls? I really appreciate what you all are doing, Chris. Even as an individual who sinks many hours into games, I constantly feel like it is hard to find games on consoles that are not so dependent upon violence as a hook. Keep up the good work on Firewatch and the always-excellent Idle Thumbs! Wait so it’s only coming out on PS4 and not PC? That’s a a bit stupid. 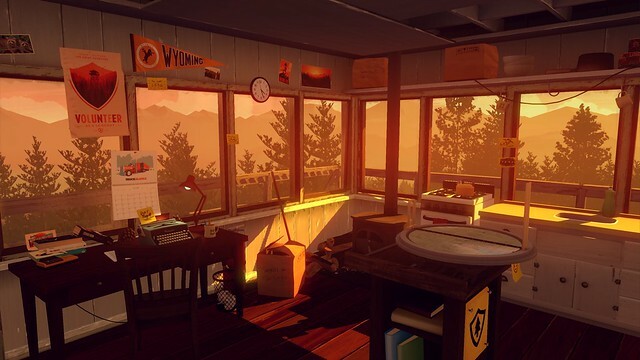 Nope, Firewatch is also releasing on Windows, Mac, and Linux! But its console debut will be on PS4. Can’t say I’m super stoked for this, but after the E3 trailer there is definitely a strong interest from me. I’ll have to see another trailer or two also the price will be a deciding factor for sure before I’m ready to full commit. Congratulations for this promising game, been waiting for this announcement for a while! Thank you! Definitely one of my most anticipated games. Question for you though, you say “console debut” on PS4. Does that mean it’s headed to other consoles? Such as PS3, Xbox One, etc? Thanks!!! Oh my god I am so happy that FireWatch is coming to PS4!!!!!!!! I can’t wait to play this game! Thank you Sony and Campo Santo!! !